Not a very long time ago, it has been Strawberryelmo’s last teen birthday. It is quite a strange feeling, because I really loved being 18 years old but we can’t change that time goes on, so I will do my best to enjoy being a teenager for one more year. And now, enough philosophy, let’s move over to dessert. For my teeny tiny celebration I made some light and fluffy mousse au chocolat. But not the classic thing. 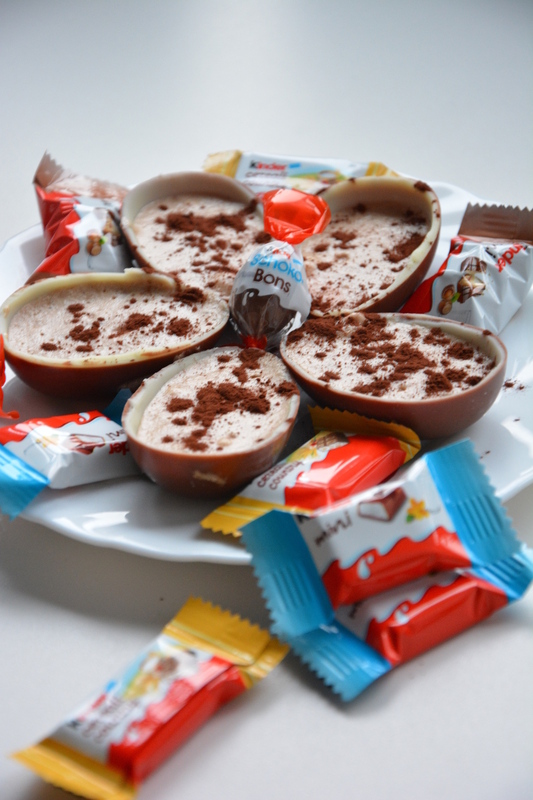 But it had to be some more special, which is why I used kinder chocolate instead of dark one. It surprised me how easy it was to prepare – you need only 2 ingredients! By the way, it looks great if you serve the mousse in surprise egg shells and makes the dessert more handy, too. 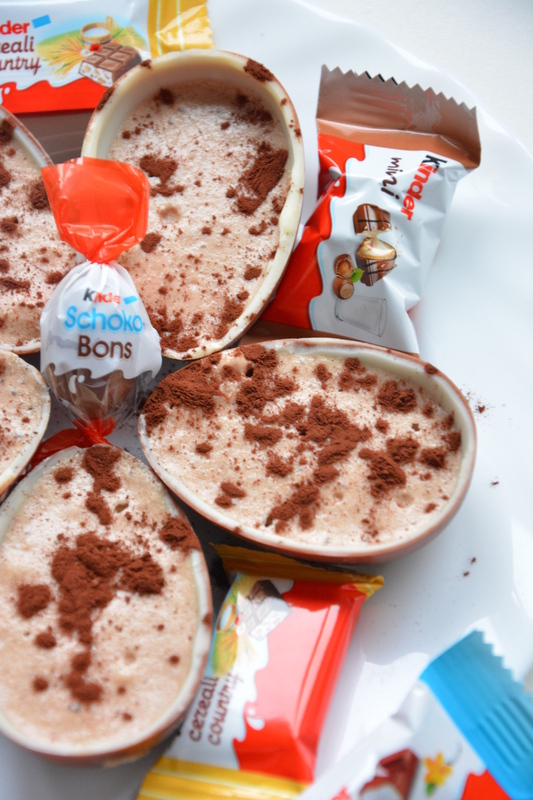 Break the kinder chocolate into pieces and place it in a small pot, together with the water. Heat over a water bath until it has melted. Don’t forget to stir! Place the egg whites in a tall dish. Blend with a mixer until they form stiff peaks (you will want it to be firm so the mousse gets all the tiny air bubbles in it). Let the chocolate cool for a minute. Use a whisk to stir the egg whites into the molten chocolate. Be careful not to beat down the egg whites. 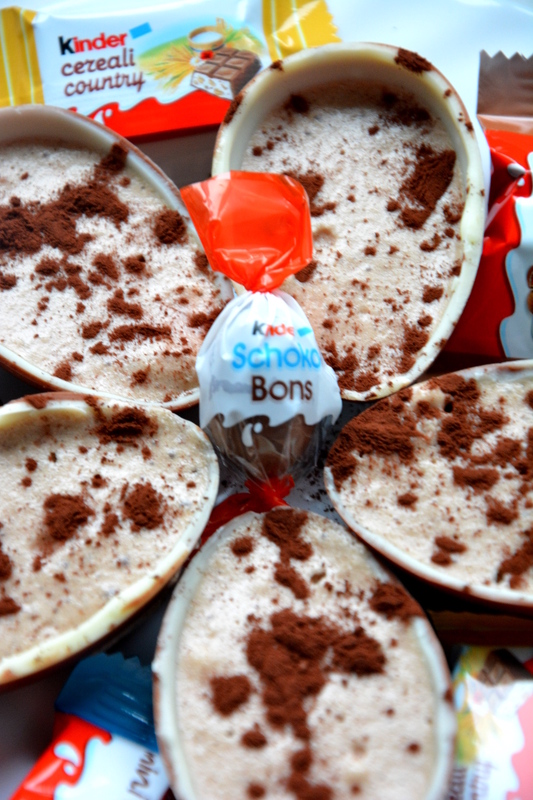 Transfer the mousse to small cups or chocolate shells. Let it cool in the fridge for at least 2 hours before serving.